A National Seminar on politics, democracy and governance was held by Prime Point Foundation on 20th April 2013 jointly with IIT Madras in their Auditorium. The National Seminar was inaugurated by Dr K Rosaiah, Governor of Tamil Nadu. Top performing Lok Sabha MPs were presented with Sansad Ratna 2013 Awards, instituted by Prime Point Foundation. 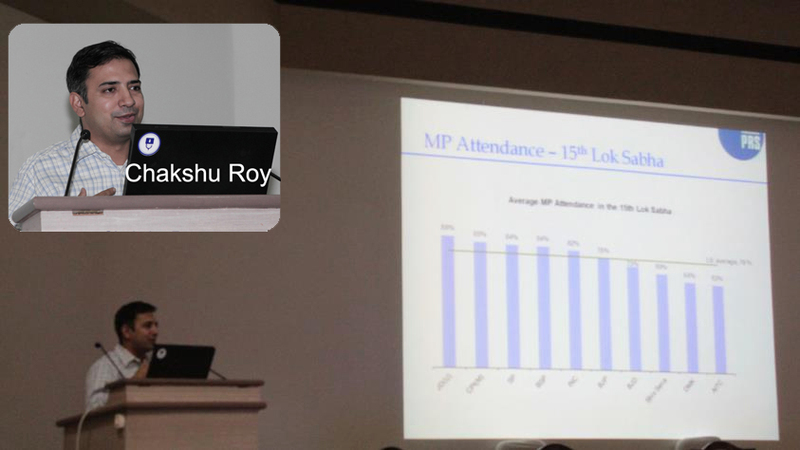 As part of the National Seminar, Mr Chakshu Rai of PRS Legislative Research made a presentation on 'Overview of Indian Parliament - Tracking the work of legislators'. During his presentation, he explained the overall functions of Indian Parliament and the duties of the Parliamentarians. The powerpoint presentation is embedded here. A day with Dr Abdul Kalam - How he manages the day? What is Aadhaar? How to get Unique Identification Number? Do Non Resident Indians involve in Nation building?